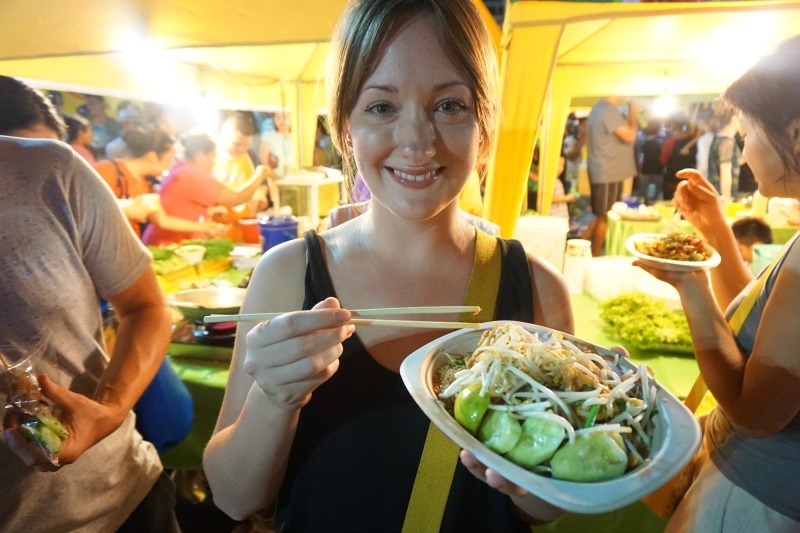 After spending the best part of seven weeks in Thailand, I think I've tried a lot of what Thai cuisine has to offer. Admittedly, I've never really been one for Thai food. After a particularly bad case of food poisoning (self-induced, I must admit) from a Green Chicken Curry whilst at university, I kind of stayed away. Obviously, that becomes fairly difficult when living in Thailand! So putting those memories to the back of my mind, I have been diving in and trying all Thailand has to offer. I thought I would share with you some of my favourites; some being dishes I'd never heard of or would never have tried unless someone hadn't recommended them to me. 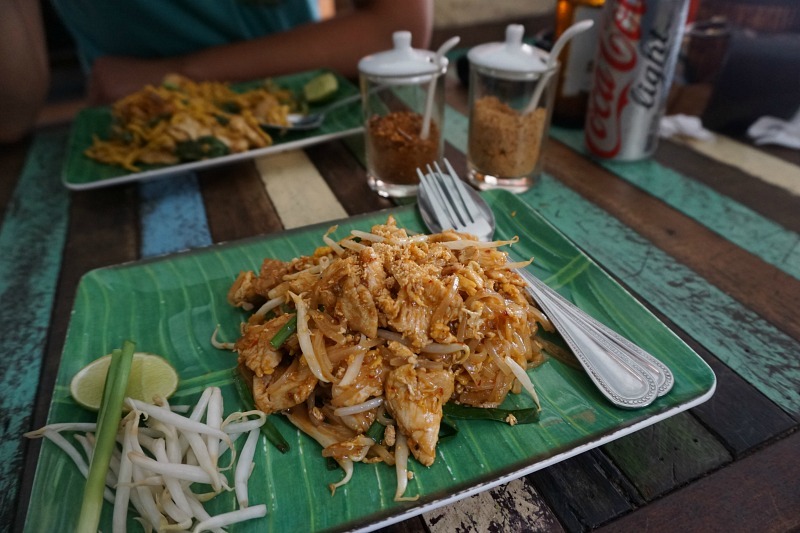 An obvious one maybe, but I still hadn't tried Phad Thai until just some months before leaving the UK. Wagas and Dim T both do a particularly tasty Phad Thai, but both quite different and it left me thinking - which was more authentic? Well it turns out almost anything goes when it comes to Phad Thai out here; some have the egg integrated into the noodles, some an omelette type affair on top, some have a strong fish flavour, others use tomato ketchup... yeh, really! Apart from the latter variant, the Phad Thai out here is great. The best? I think it had to be from Phad Thai Rock n Roll in Koh Lanta (Kantiang Bay). Delicious! This is one I discovered on a Thai cookery course, and is not to be confused with Tom Yum which is super spicy! 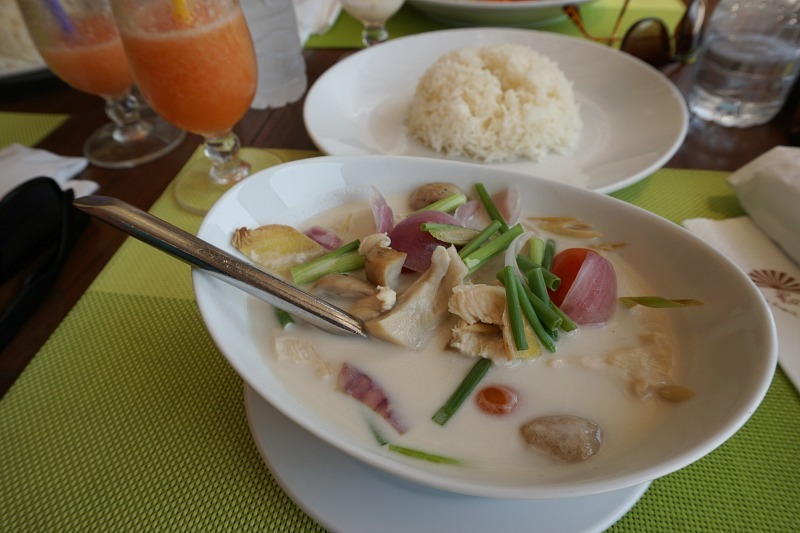 This is a delicious coconut milk based soup with galangal (a mild ginger flavour), lemongrass, kaffir lime leaves and chicken. It often features mushrooms and onions too, and served with rice is the perfect light, fragrant and tasty meal. I'm hooked! 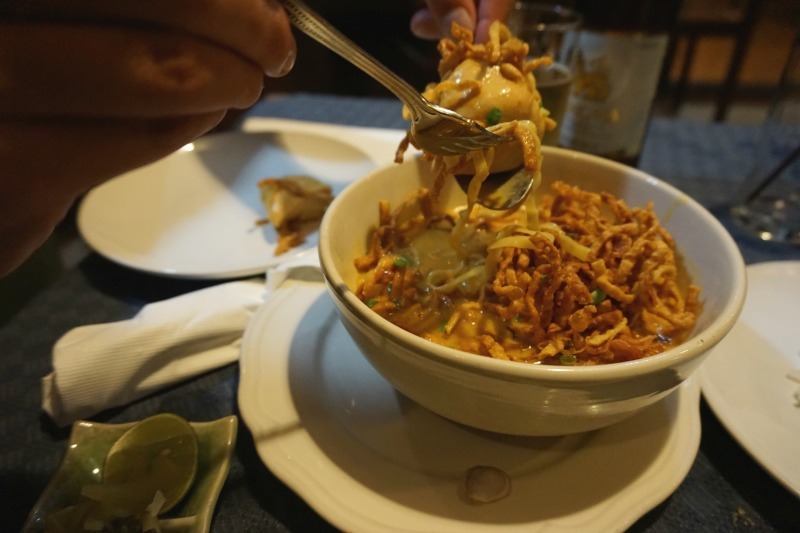 A Northern Thai classic which we found in Chiang Mai; a curry noodle soup often served with on-the-bone chicken and topped with deep fried crispy noodles. Totally delicious and a nice change from the usual Penang / Massaman / Green and Red Thai curries which heavily feature coconut and/or peanut. It is a Burmese-influenced dish so I'm looking forward to tasting some similar curries when we visit Burma (now called Myanmar). The name makes me LOL every time! 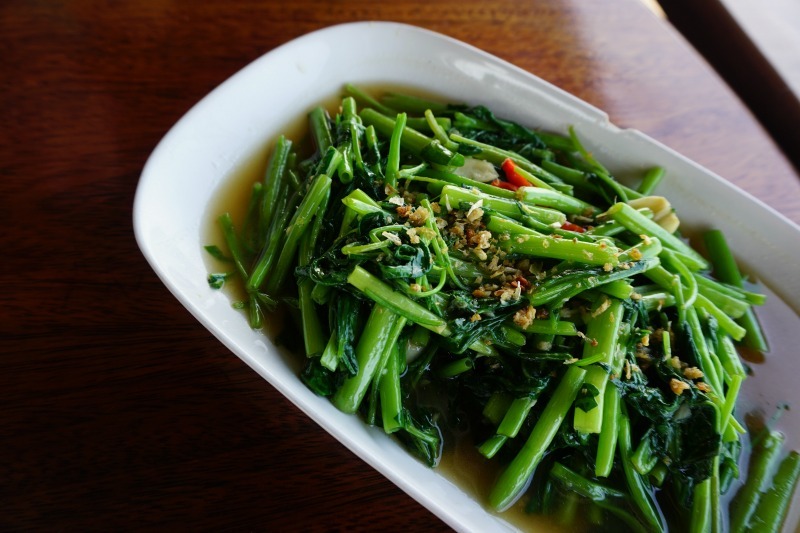 Morning Glory is a water spinach and looks a little like tenderstem broccoli... but tastes a whole lot better! Often cooked with oyster sauce in Thai cookery, it is a delicious accompaniment to grilled fish or served alone with steamed rice. Be sure to try it if you visit Thailand (particularly South Thailand where it seems more common), you'll be surprised! Sounds a bit basic, right? Wrong! (ha). 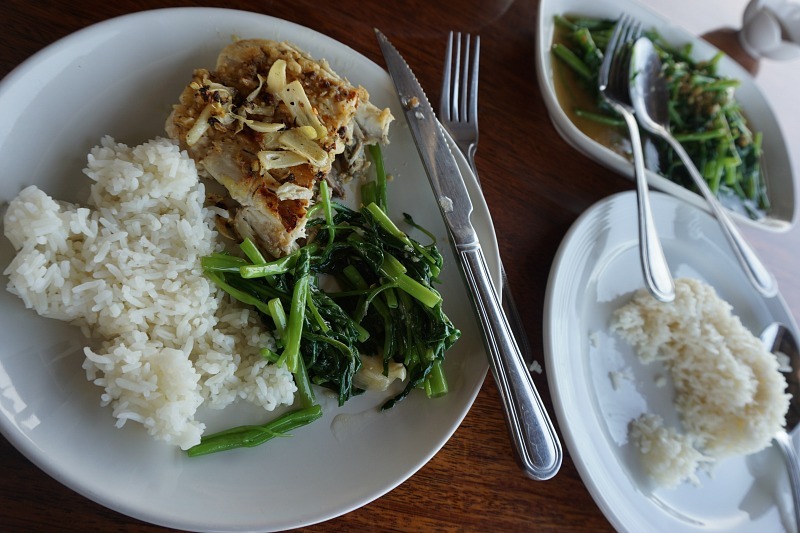 The fish in Thailand is delicious - try Red Snapper, White Snapper, Barracuda, Tuna, Tilapia... the list goes on. In my opinion it's best cooked on a BBQ or grilled and served simply with garlic butter. 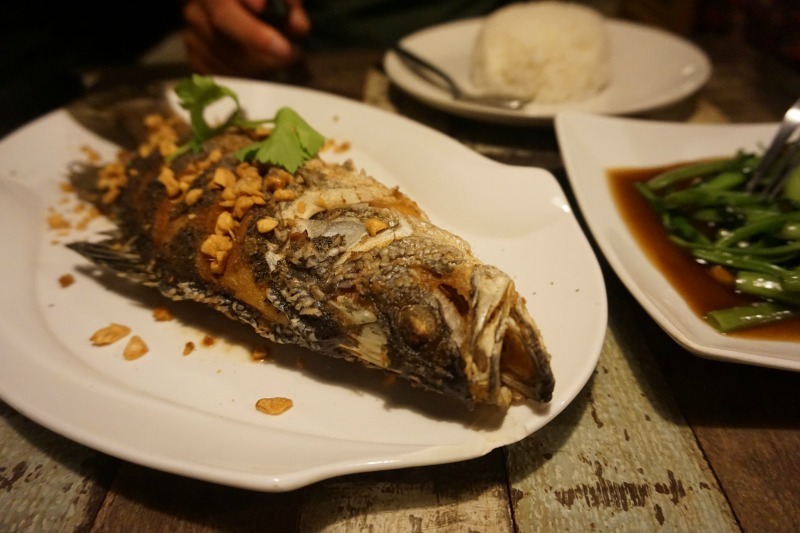 When we were in the South of Thailand, in particular the islands (Koh Lanta, Phi Phi, Phuket) fish was an obvious choice for dinner especially when we felt we couldn't face any more noodles! 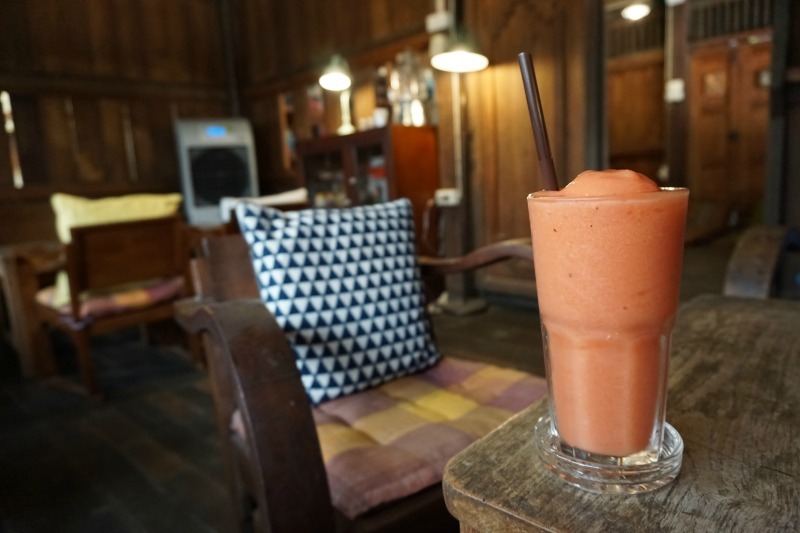 Not food as such, but the Thai take on smoothies. Fruit lassies actually originate from the Indian Subcontinent, but have taken on a life of their own in Thailand. Essentially it is a smoothie made with fruit and yoghurt, but they can also be served with salt rather than sugar. I've not been brave enough to try a salt lassi, but absolutely love a mixed fruit lassi with pineapple, mango and watermelon. 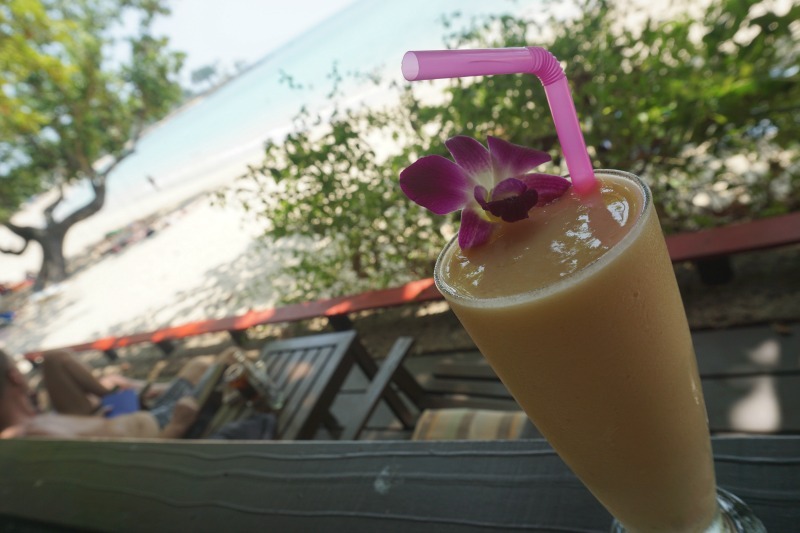 Mango in smoothies is great as it creates a really smooth, thick blend. I love Thai food- this all looks so fresh and incredible. 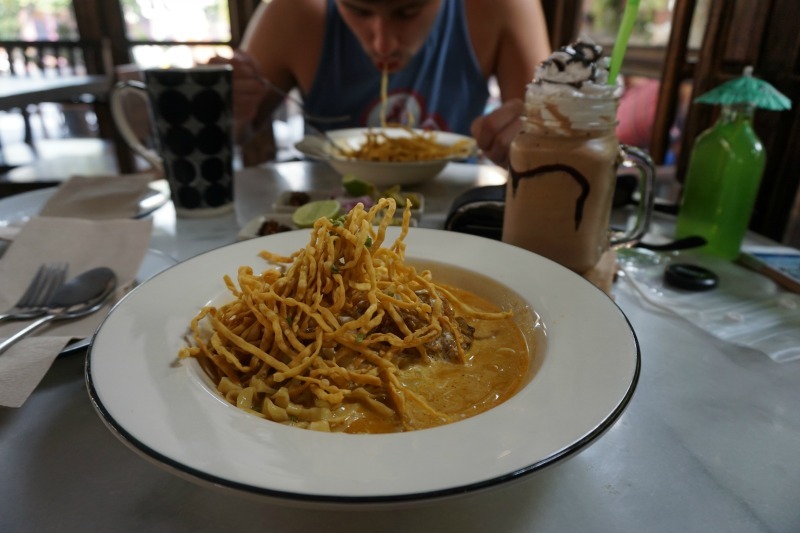 The Khao Soi sounds very exciting. This sounds amazing, everything looks so fresh and tasty!